Save the planet, one party at a time! Perth City Farms extends their earth-friendly advocacy to every nook and cranny of the farm. Their team isn’t just focused on creating venues for special occasions, they foster relationships between people and the environment. You’ll see this passion in the farm and nursery found on site. By supporting Perth City Farm, you support their vision of a more beautiful and liveable planet. With its white-washed walls and high ceilings, The Barn is a wonderful blend of rustic and elegance. 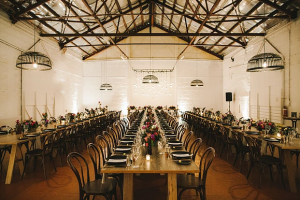 From fashion shows to weddings and even small concerts, The Barn is a versatile and large-sized venue that can accommodate up to 200 people. It opens up to the lush and spacious Courtyard which, when utilised, can host events of up to 400 guests. 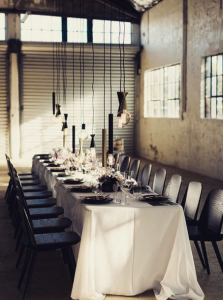 The newest venue in Perth City Farms features white-washed walls and concrete flooring that give it a feel that is warm, laidback and, full of creative possibilities. Like its name, the Arts Building is the perfect blank canvas upon which you can immortalise the events that make life special. It provides easy access to the street which makes it a suitable option for guests looking to hire food trucks and third-party caterers. Perth City Farms prides itself with a fully equipped commercial kitchen that is ready for use on an hourly basis. Great for caterer’s and wait staff, this space features 3 double-door refrigerators, a commercial dishwasher, oven, stove and microwave. If you rent the Barn for your special occasions, the kitchen is included in the package so you have a catering option ready for use. Some events are best held in the midst of the lush green and sunshine of the great outdoors. If you agree, then The Courtyard might be just the space you are looking for. 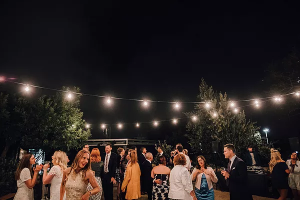 Whether it’s for your reception or ceremony, The Courtyard perfectly blends natural elements with the convenience of an outdoor venue. The story behind Perth City Farms is a shining testament that something extraordinary can come from ordinary things. This non-profit community environmental center was once the site of a scrap metal yard and battery recycling facility. Through the love and tireless devotion of volunteers, the polluted and toxic area was transformed into a refreshing oasis in the middle of the urban jungle. Give your family and friends an event they will not forget. Take their breath away with event spaces that seamlessly combine functionality, beauty and sustainability.